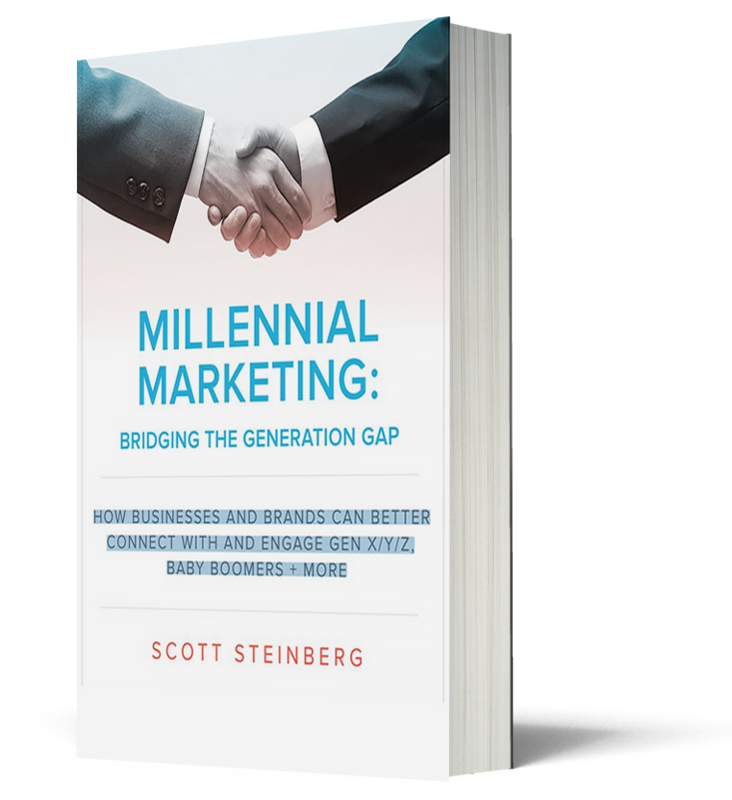 Scott Steinberg – Microsite | Celebrity Speakers – Scott Steinberg is a keynote speaker on change management, innovation and future trends. The CEO of TechSavvy Global (a management consulting and market research firm) he helps clients create competitive advantage and drive change, innovation and growth. A business strategist for corporations, non-profits, universities and startups he aids with change management, leadership training and marketing and communications strategy. 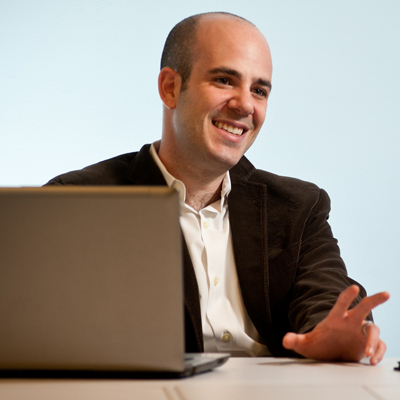 He has also consulted on dozens of industry-leading products and services. As one of the world’s 150 most influential keynote speakers and futurists he provides breakouts, training workshops and speeches at events, meetings and conferences. His motivational speeches, leadership seminars and master classes show executives and educators how to lead in times of change and become indispensable. 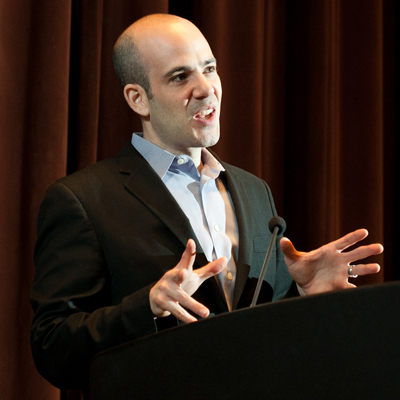 A noted content strategy, social media and communications expert, his eye for business analysis has led to his work as a strategic insider for over 600 media outlets from CNN to Rolling Stone. From EMC and eBay to Intel and MTV, he’s worked with many top brands to drive success. Scott advises corporate leaders, attorneys, venture capitalists and investors. 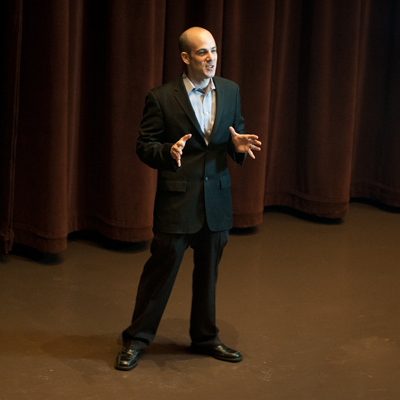 He also offers sales, marketing and media training services, and hosts many executive summits. 1. In these rapidly changing times, with so much of our daily business and personal lives constantly altering, how do you feel that your work advising the big corporations is evolving? Companies in every field are looking to us to help them comprehend how to provide more complete services and solutions – not just one-shot products anymore. They’re also looking for insights into how to create branding, messaging and advertising content that resonates with and engages tomorrow’s customer as, in the age of social media and 24/7 online connectivity, we’re all publishers and media producers. Many organizations are also looking to gain market research in insights into emerging trends in their field, noting that innovation and competition can come from virtually anywhere. Luckily, a few simple shifts in strategy and positioning are often all it takes to make a huge impact and future-proof yourself going forward. 2. Do modern business strategies have to build in greater flexibility than previously? Flexibility is the essence of future-proofing: roughly 90% of businesses now succeed with a different strategy or plan than they first began with and both the world and customer needs change too quickly to stick with a fixed game plan. The more you strive for adaptability and versatility in the business strategies, technologies and communications methods you use, the more versatile and resilient your organization and brands will be. 3. As the author of ‘Make Change Work For You’ and ‘NETIQUETTE ESSENTIALS: NEW RULES FOR MINDING YOUR MANNERS IN A HIGH-TECH WORLD’, how do you rate the speed of change that society as a whole is experiencing? Change is hitting us harder, more frequently and from many more directions than ever before. And thanks to advances in communications, technology and social media, it’s happening faster than ever before. In fact, the next 10 years will bring more change than the prior 10,000. Learning how to pivot, adapt and acquire new insights, skills and capabilities will be key to success going forward: getting ahead in tomorrow’s world is as much about learning to think quicker and further ahead as it is learning to think smarter and more productively. 4. Traditional businesses and occupations are being replaced with new needs for modern businesses. What trends do you think have yet to be recognized? Artificial intelligence, robotics and machine learning are transforming every sector. Couple these advances with predictive analytics tools and devices that tap into the Internet of Things to send information on virtually every detail of our daily lives soaring across the world and you’ve got the beginnings of a revolution. It’s not unthinkable that just a few years from now we’ll be living in a world of self-driving fleets of trucks, working alongside robots in the workforce and conversing daily with chat bots so lifelike they resemble humans. Now imagine all of these new innovations are connected and can predict how we shop, what products we’re looking for and how to personalize and customize services and solutions for us – as you can imagine, the future is about to get more exciting in virtually every way. 5. Disruption seems to be the new norm – what will ride the storm and be a constant for years to come? Constant change is the new normal in business, in fact these days it’s more normal than new. Luckily it’s not hard to keep up with competitors and stay ahead of the curve when you and your organization adopt a mindset that prizes constant learning, growth and experimentation. As a reminder, innovation isn’t rocket science. As we discovered while researching bestselling book Make Change Work for You, the most common pieces of advice for success in life and business hundreds of market leaders give are “don’t be afraid to fail”, “think positive”, “be relentlessly practical about taking action” and “learn and improve from your efforts”. You don’t need legions of case studies, journals, whitepapers, etc. to transform a business – you just need to change your perspective. Study after study shows that attributes that anyone can learn and possess like improvisation, communications, strategy and resilience are key to success – nothing more, nothing less. In other words, anything is possible when you put your mind to it. And remember, you don’t always have to reinvent the proverbial wheel, just give your tires a slight realignment so to speak: simple shifts in business strategy, positioning and marketing can have a big impact on the bottom line. 6. Change is constant – how can working professionals and organizations succeed in such unpredictable environments? To succeed in unpredictable environments, you’ve got to find the courage to take chances. In uncertain times, everyone wants to be risk-free. Instead, to get ahead and/or create competitive advantage, you should be risk-averse – i.e. recognize that change is coming, and make smart, calculated and cost-affordable bets that can help you gain the insights, talents or capabilities today that will be in demand tomorrow. Whatever your goal is, pick a portfolio of promising growth opportunities to pursue – launch a new product line or relaunch an existing one; attend night school or take online computer programming courses – and start pursuing them immediately. Just don’t sit still while times, trends and competitors are also evolving. Staying ahead of the curve is easier than it sounds, as long as you’re staying in constant motion. High-tech devices, cloud apps, and social networks are now vital communications tools – but what does your business need to know to successfully connect with today’s customer, and manage its online reputation? And what key rules should working professionals follow when interacting, sharing info, or job hunting online? 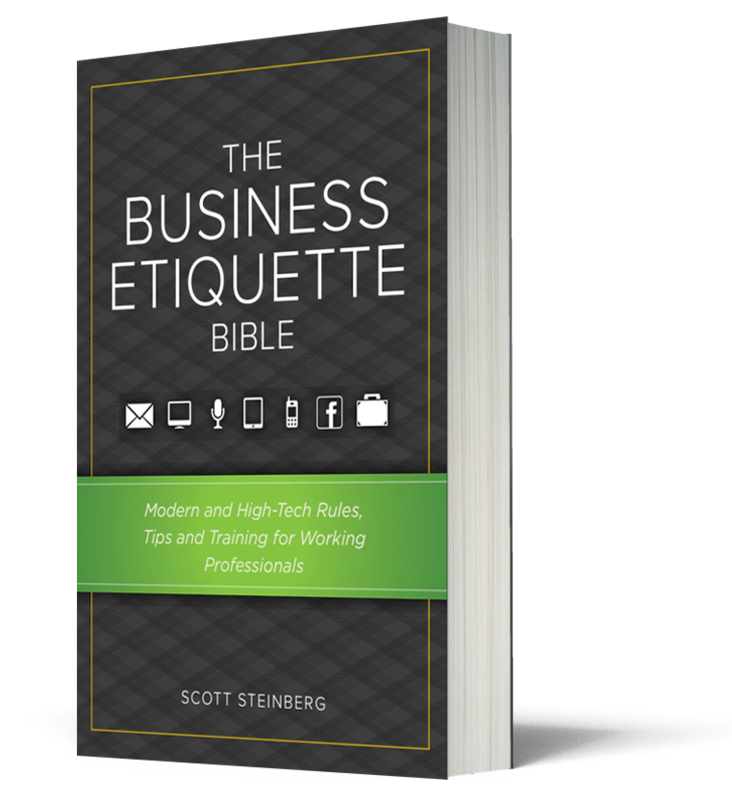 You’ll find the answers in The Business Etiquette Bible. This expert guide to more effectively connecting and engaging with individuals of all ages (including those who’ve grown up in a 24/7 connected online world) reveals how to communicate and build businesses and brands that resonate in the online and social era. In this book, you’ll not only learn how to better engage tomorrow’s leaders, but also communicate with and capture the interest of individuals from every generation. Business, culture and competitive landscapes have fundamentally changed, but the basic principles and best practices for succeeding and future-proofing both yourself and your organisation haven’t. 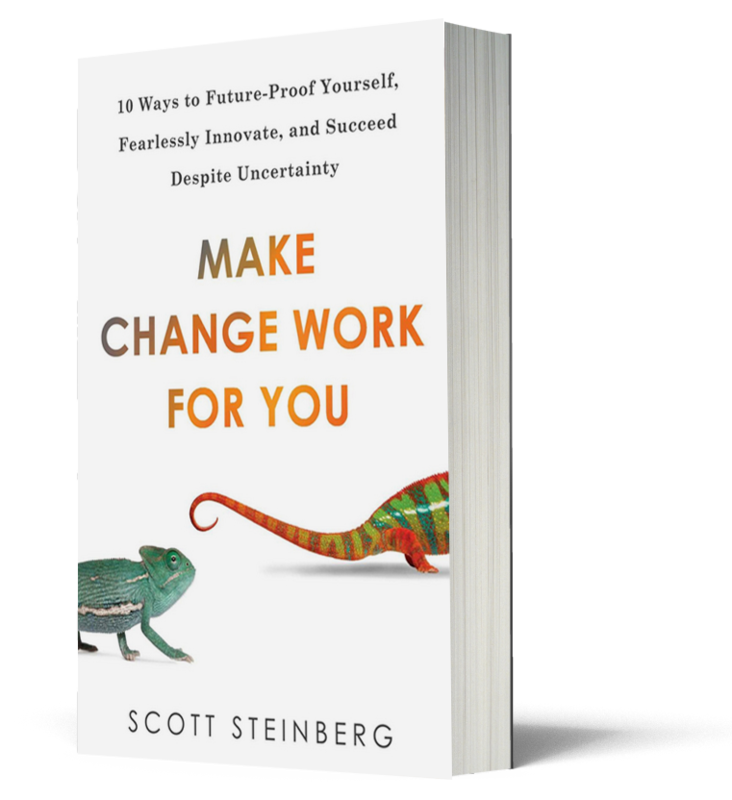 Make Change Work for You shows how to reignite your career, rekindle creativity, and fearlessly innovate your way to success by providing the tools needed to master uncertainty and conquer every challenge in life or business. 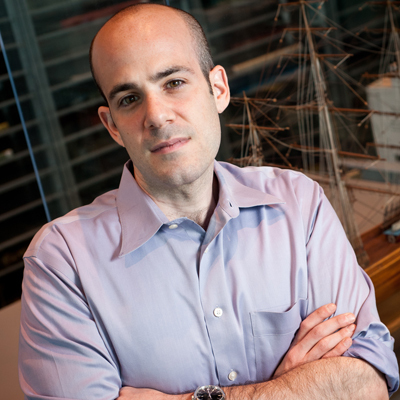 For more information about Scott Steinberg, or to book him for you next event please contact me by phone or email.